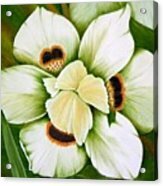 Queen duvet cover (88" x 88") featuring the image "African Butterfly Iris" by Mary Deal. Our soft microfiber duvet covers are hand sewn and include a hidden zipper for easy washing and assembly. Your selected image is printed on the top surface with a soft white surface underneath. All duvet covers are machine washable with cold water and a mild detergent. So beautifully done!! Love it!! tw! Another vote for this beauty!! Plus pin! You kidding me, Lenore? Those are the most encouraging words I have heard. This is so gorgeous! 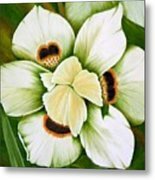 You do some of the best flower paintings on FAA!! v/f! 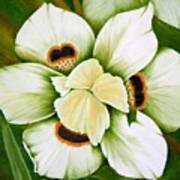 This is an African Butterfly Iris. It is no bigger than 2-3 inches in diameter. I just had to make it big and bold because I was so taken with it. Thank you, Dave and Carol. Beautiful - very well done. Thank you, Sherri Wehrer, for choosing Butterfly Iris as a Favorite. Thank you, Tyler. The buyer has allowed me to show this once as a sample of my work, or to compliment my other work in a craft fair. Wonderful people. Thanks for favoring, Tyler. Yes...thank heaven for giclees! I can see why this was a long time favorite of yours, Mary...it is perfect art!..do you mind if I, too, make it a fav! Beautiful, beautiful, Mary..vote! Ladies, thank you so much. 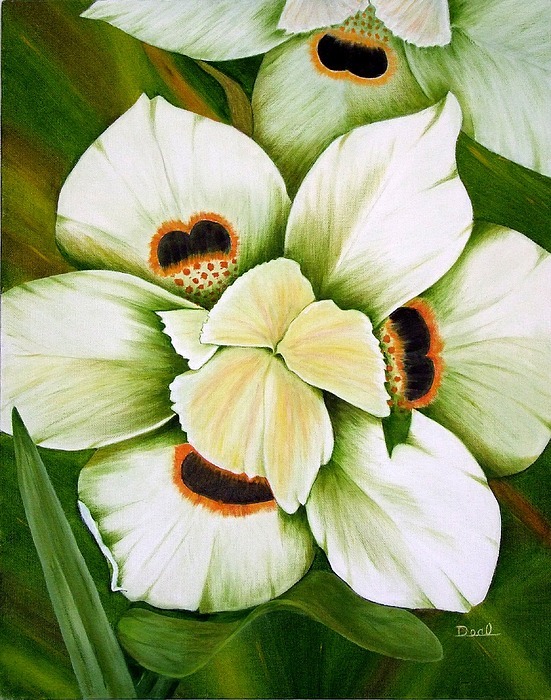 This was a favorite of my own paintings for a long time. Sometimes I wish I hadn't sold it. But then, aren't we trying to make a name for ourselves and a little cash at the same time? At least now we can get giclees.